We've made some big changes to serve you better. First we've changed the name of the workshop to reflect how you benefit. If you bring your ideas to the workshop, you will learn how to finally get your book out of your head and into your hand. Second (we think this is a super-big deal), we've expanded our reach to include those who have already self-published, but want to give their work a more polished and professional look. 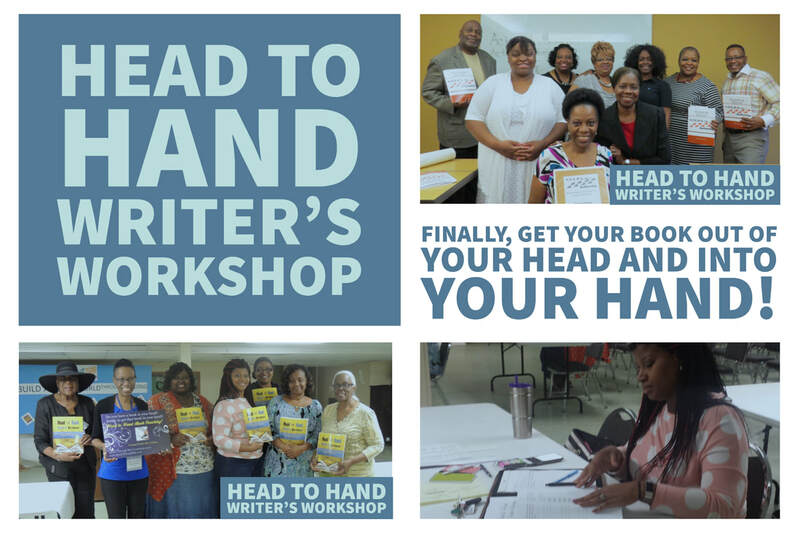 Whether your book is still stuck in your head or it's in your hand, but needs an upgrade, the Head to Hand Writer's Workshop is meant for you. Click here to find out about the next workshops. Head to Hand Writer's Workshops are for adults who wish to self-publish a non-fiction book. Although we do handle poetry and short business books, our main focus is faith-based books.